Bryan M. Recker, D.D.S., M.S. Dr. Bryan Recker and his Team at Advanced Periodontics and Implants are committed to providing exceptional patient care in the greater Rochester, MN area. When you visit Advanced Periodontics and Implants, you will experience the commitment to excellence. Dr. Recker grew up in Pella, Iowa, with small town friendliness, strong work ethic, integrity, respect for others, and a strong faith. His Dad and brother are also dentists, so naturally Dr. Recker got an early start in the field by helping around the office while growing up. 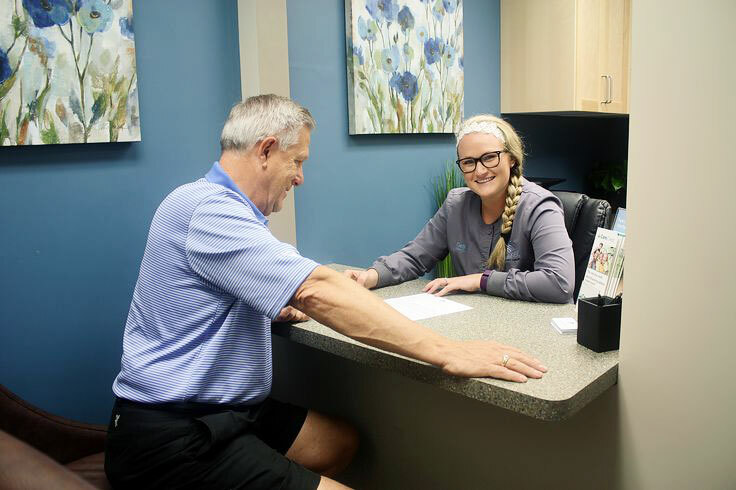 Since that time, Dr. Recker has modernized periodontics in the Rochester area, offering new best practices, complex treatment plans and intricate surgeries. As an implant expert in the Southeastern Minnesota area, he has placed over 700 implants with a high 99% success rate. Dr. Recker’s dedication to periodontology is evident in the choices he makes to stay current in this field. In 2010, Dr. Recker achieved his Board Certification, earning him Diplomate status by the American Board of Periodontology. He stays up to date with the most current research and techniques through attendance at many national meetings put on by the world’s experts in their respective fields. 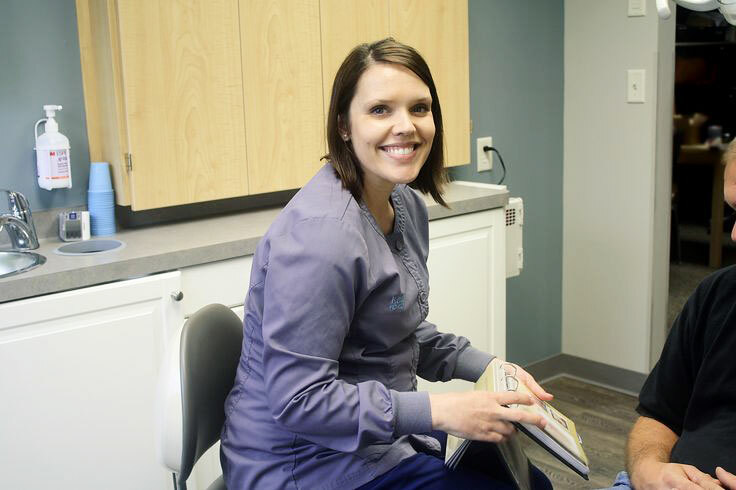 Additionally, Dr. Recker is an adjunct professor at the University of Iowa College of Dentistry, teaching clinical periodontics to dental students and periodontal residents. These activities all contribute to making Dr. Bryan Recker of Advanced Periodontics and Implants the premier periodontal and dental implant provider in the greater Rochester, MN area. Dr. Recker attended the University of Iowa where he completed his undergraduate studies and was accepted early into the College of Dentistry, one of the top 3 dental schools in the nation. As he excelled, he quickly realized his meticulous attention to detail and love for learning would allow him to specialize in the field of periodontics. During his residency at Iowa, Dr. Recker received training in all aspects of modern periodontology and was mentored by a leading clinician in the areas of esthetics, dental implants and bone grafting. Additionally, Dr. Recker received training in various sedation methods at the University of Iowa Hospitals and Clinics. 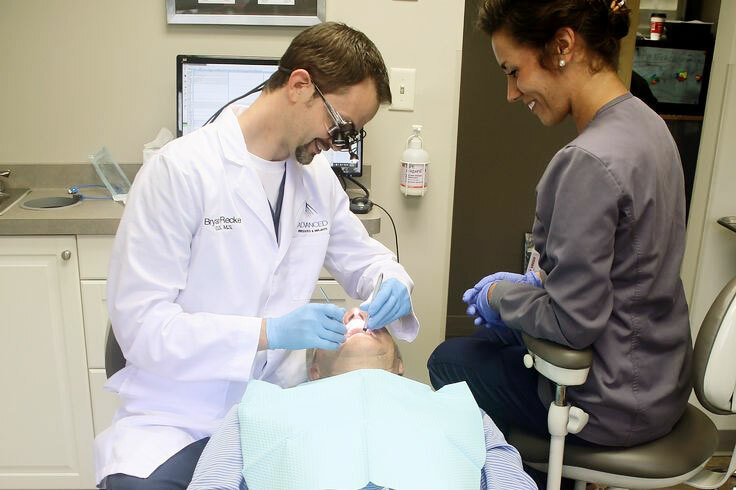 In conjunction with his periodontal training, Dr. Recker completed an intense research initiative to earn his Master’s Degree in Oral Science. His research on bone harvesting was innovative in the world of periodontics and won several awards. After graduating from residency in 2009, Dr. Recker and his wife, Betsy, moved to Rochester. As a leader in his field, Dr. Recker is highly skilled, yet his true motivation is treating each patient with compassion and excellent care. He is known for actively listening to his patients, respecting them and treating them in a friendly, caring environment. If you really want to see a smile on Dr. Recker’s face, ask him about the six most important people in his life. He has been married for 11 years to his wife, Betsy, and they have five small children: Kate, Jill, William, Emily and Timothy! Besides performing highly intricate oral surgeries, Dr. Recker is thoroughly skilled at changing diapers, kissing boo boos, and reading bedtime stories.